By means of example as to just how pathetic Canada's natural health product laws and regulations are one needs to turn no further than the recent Hydroxycut recall. In case you're unaware, on May 1st the FDA warned consumers to immediately stop taking 19 different Hydroxycut products due to adverse effects including liver failure and death. So what happened in Canada? On May 1st Health Canada issued a press release stating that they were looking into the issue. "Health Canada advises consumers not to use any unauthorized health products, as they may pose a risk to health. Authorized health products will bear either an eight-digit Drug Identification Number (DIN), a Natural Product Number (NPN), or a Homeopathic Medicine Number (DIN-HM) on the label." Why such a non response? Because there is no Canadian mechanism or government body that oversees Hydroxycut products. Meaning that even though they're not "authorized", clearly there's nothing stopping companies like Iovate Health Sciences (the makers of Hydroxycut) to sell whatever they want, with whatever claims they want, in Canada. All that said, I still can't help but scratch my head at the fact that Health Canada still hasn't told Canadians to stop taking Hydroxycut. I wonder if they're worried about being sued by Iovate? Hey here's a conundrum. 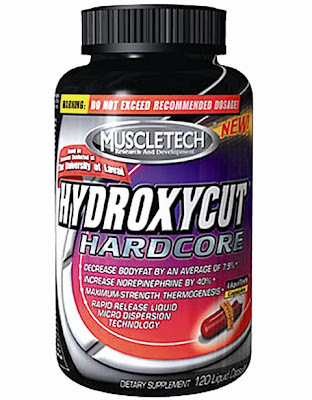 What if the folks currently taking and buying Hydroxycut don't read Health Canada bulletins? What if one of those folks develops serious complications? I'd recommend they sue our government for failing to provide even the smallest amount of due diligence on a drug that even the manufacturer has decided is deadly enough to voluntarily recall it. Doesn't Health Canada have an obligation to review ALL products sold to Canadians purporting to affect their health?